I've wanted to make these cookies forever now and finally got around to it. 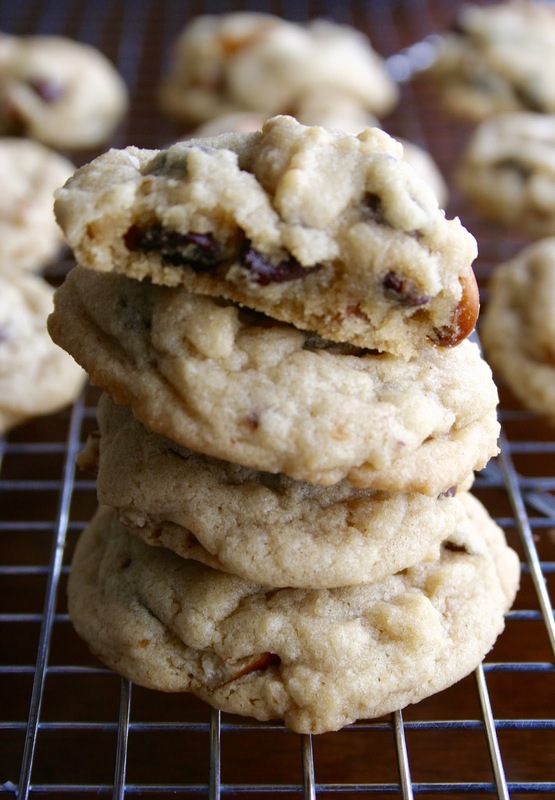 I loved the idea of sweet and salty and especially the added crunch of the pretzels in a chocolate chip cookie. These are so easy to make and I tell ya, that extra crunch of the pretzel really makes these good. 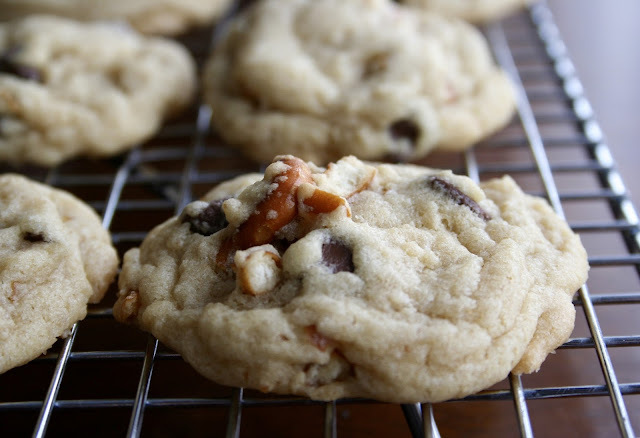 If you're a fan of sweet and salty, like I am, you will love these! So if you have a bag of pretzels you don't know what to do with sitting on your pantry shelf, do yourself a favor and make these! Chocolate always makes things better! 2. Cream the sugars and butter together until light and fluffy. 3. Add eggs, one at a time and mix thoroughly. Scrape sides and add vanilla, mixing well again. 4. In a medium bowl, combine the salt and baking soda with 1 3/4 cup of flour. Add the flour mixture to the wet mixture, 1/2 cup at a time. You want the dough to pull away from the edges, so if it is very sticky, add more flour, 1/4 cup at a time until it stiffens up. 5. Place the pretzels in a Ziploc bag and lightly crush with a rolling pin until you have barely broken the pretzels. (You’ll still want bite-sized pieces.) 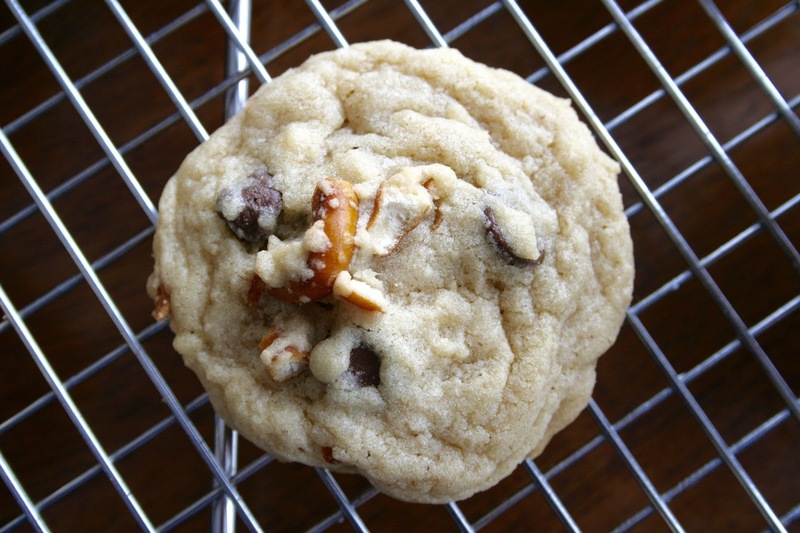 Add the pretzels and chocolate chips to the cookie dough mixture and mix on low speed until pretzels and chips are evenly mixed. 6. 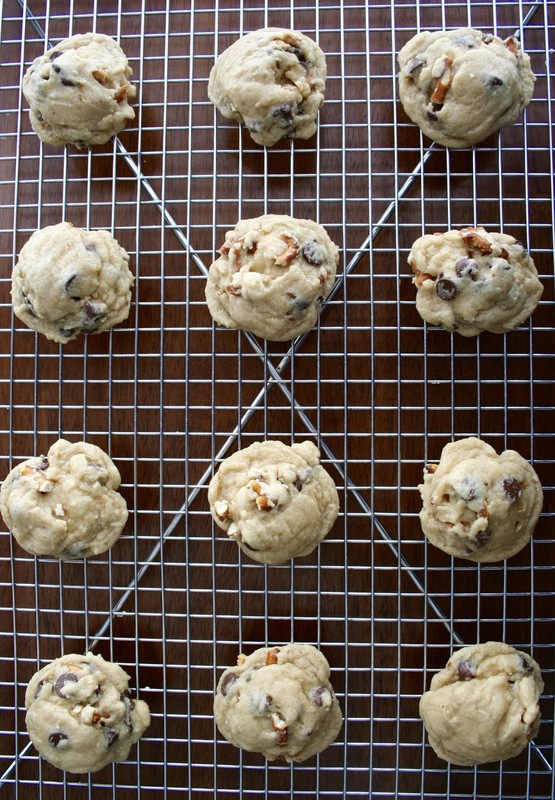 Using a medium cookie scoop, drop balls of dough onto an ungreased cookie sheet. 7. Bake for 10 minutes. Let cookies sit on baking sheet for 5 minutes and then transfer cookies to a cooling rack. Store in an airtight container.